In order to make enterprise setup easy, Android Oreo (8.0) includes a feature called Zero-touch enrollment. In order to make enterprise setup easy, Android Oreo (8.0) includes a feature called Zero-touch enrollment. Through this, one can streamline the enterprise mobility management (EMM) process. This can probably bring ease both for the company providing the mobile and the end user. EMM has become a necessary tool for companies these days to control their organisation and data security in mobile phones. In this case the user has to be certain that the Android device they're using supports Android Oreo (8.0). 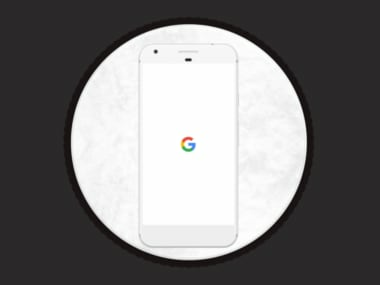 According to Google’s blogpost, those with a Pixel phone can use it in Android Nougat (7.0). However, it is necessary for these people to purchase the device from an enterprise reseller, or a Google partner. And not from a consumer store. The reseller has to set up a Zero-touch enrollment account. For this, a Google account is required where the user has to enter a corporate email, and not their personal one. In the Zero-touch enrollment portal, an EMM device policy controller has to be installed. The policies that are necessary for the device to have. During this process, the devices sees if they have been allotted any enterprise configuration. This configuration helps in completing the setup of the device. The EMM configuration can either be set as default or as manual. Through this portal, the account owner can manage people who are part of this. It also allows them to add or delete a reseller. Moreover, even other devices can be added to it. This Zero-touch enrollment can be used with Pixel by Google, Huawei Mate 10, Sony Xperia XZ1 and XZ1 Compact. The service is currently available in the US, Canada and Europe and select places in Asia. It has not come to India as of now. Through this, the IT desk in the user’s workspace does not have to do it separately for everyone individually, dramatically streamlining the process.